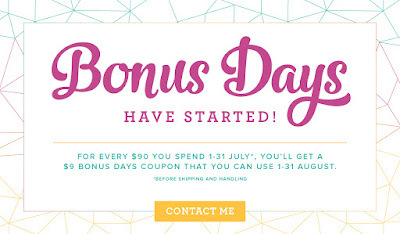 For every $90 you spend from July 1st - 31st, you will get a $9.00 Bonus Days Coupon that you can use between 1st - 31st August. There is no limit to how many you can earn!!! You must have an email address as Bonus Coupon Codes can only be delivered via email. 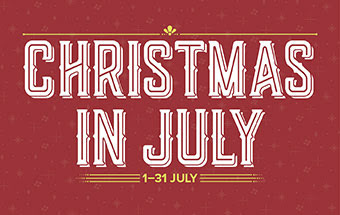 July Joiners have until the end of December (a whole 6 months) to reach the minimum spend of $454.00, plus you get the perk of 20% -25% discount on every order you place. If you find yourself wanting almost everything in the catalogue (and who doesn't) this would be the perfect time to join for the great discounts becoming part of an amazing supportive Facebook Team 'Art with Heart Team Australia' that is exclusive to us, and not to mention attending OnStage every April and November for Demonstrators only, I look forward to these every time they are so much fun!!! For more information click on Join My Team on the Home page. To join my team today click on the link below fill out your details and pay the $169.00 and start choosing your starter kit, need help with that I'm just a phone call/text or email away 0488 281 860, and your Bonus Essentials Gift pack will automatically be included.